For me, the patient I think of most often is Sydney. 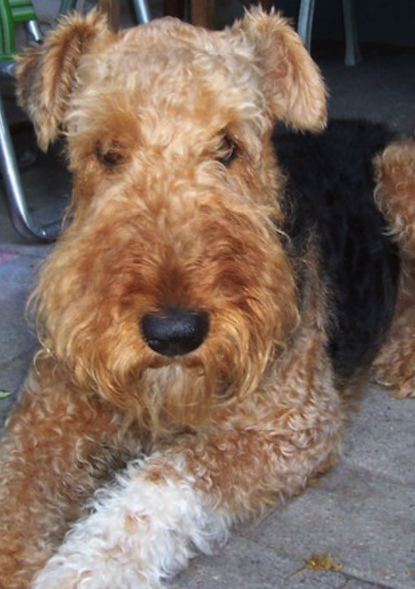 My love for this Airedale Terrier began the moment I stepped into the room to take her blood for a heartworm test. She wasn't so sure about this situation, but her stub of a tail wagged anyway. Syd was known for her less-than-perfect veins, so it usually took a few pokes to get a sample. She didn't care. She sat there patiently while I, the newbie technician, got what I needed. Sydney's owner Kelly and I became fast friends during Syd's all-too-frequent visits. Kelly said Syd loved me, but I still insist that Syd loved everyone. She was a dream patient, one who let you do anything and never made a peep. She really was a star and our entire staff loved her. We certainly saw enough of Sydney over the years. She was a bit of a canine lemon and had many health issues. She developed polycythemia and was on a strict medication and bloodwork regime. Needless to say, she became quite the regular in our practice. Despite everything Syd went through, Kelly and her family stood by her. Their dedication to this animal was unparalleled and is something I still admire. One day, Sydney began having terrible seizures. We were all a wreck. Kelly and her family came in with her and we all expected to say our goodbyes. Our doctor came up with a plan to put her in a medically induced coma as a last effort to bring her around. This was a pivotal moment in my career. It's the moment where I am ashamed to say I lost hope. I didn't think the vet's plan would work, but Sydney's family remained positive and had faith that with this treatment, Syd would pull through. And what do you know? She did. It was then that I realized that even when things are looking grim, it's important to give our patients, even the underdog of underdogs, the benefit of the doubt. Every now and then, when it's looking like they aren't going to make it, some very special ones pull through and go on to enjoy many more happy years like Sydney did. After this experience with her, I vowed never to "give up" on a patient again. Let's face it: we see some very difficult cases in this field, and it's all too easy to become jaded. Instead of remembering the sad cases and the ones you lost in the past, think of Sydney and let her story feed your optimism. I left the practice in 2010 and went into my last appointment with Syd knowing that I would likely never see her again. 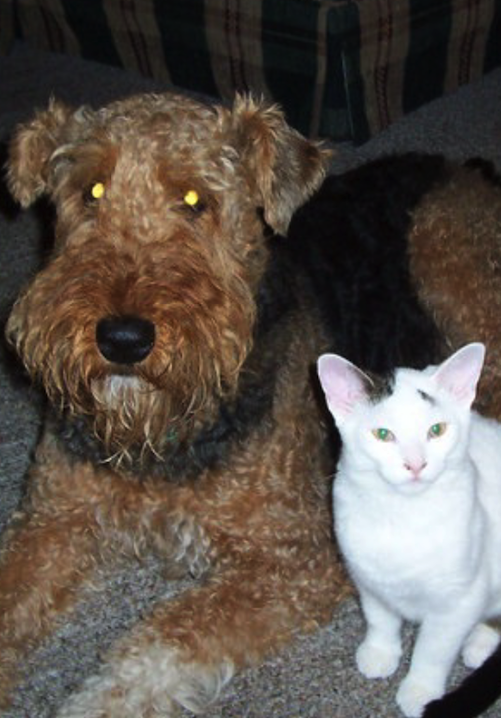 I gave her an extra big Airedale hug and silently said my goodbyes as I watched her leave out the front door. A few months later, I learned that our beloved Sydney had passed away. I was heartbroken and disappointed that I couldn't be there for her and her family in her last moments, but in a way I was glad that my last memory of her was a happy one. I remain grateful to this day for everything I learned from Syd and her amazing family. I value the bond we all developed and will hold it in my heart forever. She made me a better technician and the lessons I learned from her carried on to other patients. I will remember her always, and I know her little stub of a tail is still wagging in doggie heaven.